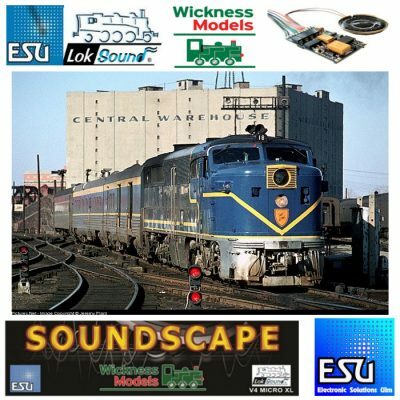 These projects are available on Loksound 5, Loksound 5 Micro and Loksound 5 XL. To order simply choose your decoder & interface type and select a soundscape option. To discover more about this project view the main description below. 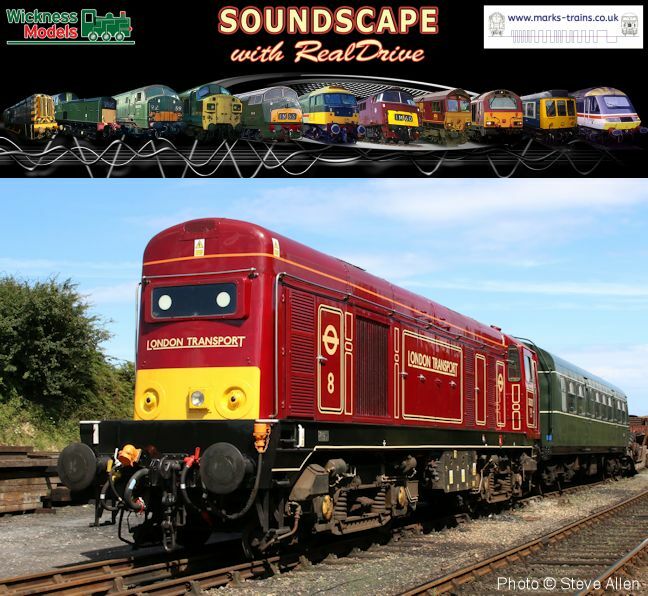 MarWick Class 20 Soundscape with RealDrive diesel project. 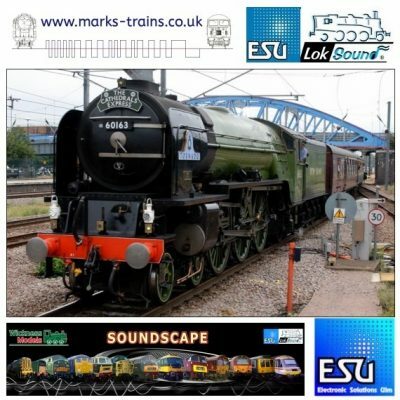 The MarWick Class 20 Soundscape with RealDrive project has been created with various recordings from preserved railways. 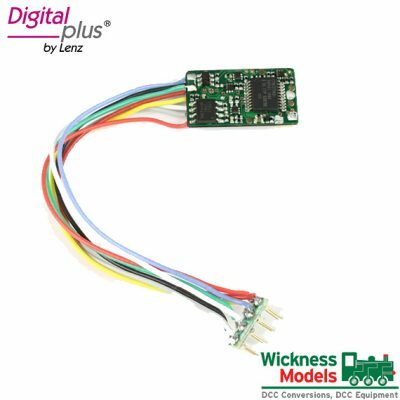 This project is available on the Loksound 5, Loksound 5 Micro and Loksound 5 XL. To order simply choose your decoder & interface type and select a soundscape option. 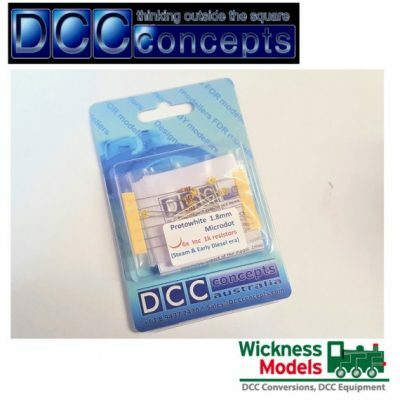 ESU decoders are supplied with a hard wired standard speaker, to upgrade to one of our premium quality 3D printed speakers view our range of speakers from the link within the useful information tab to the right. A video demonstration of the sound project in action is available from the useful information tab opposite, clicking on the link will open the YouTube video in another window/tab. 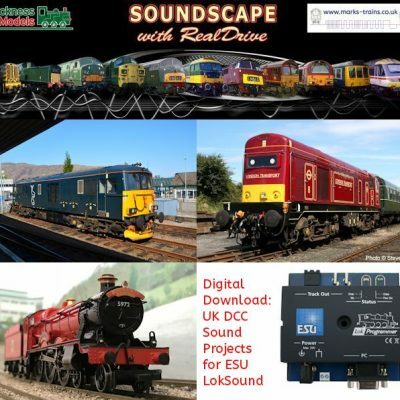 Soundscape with RealDrive raises the bar to a level higher than previously available in Loksound technology. These sound projects have been developed jointly by Mark’s Trains and Wickness Models in great detail to be more throttle and volume responsive, through the range of 128 speed steps than other currently available sound projects, and with RealDrive features to give the user a much more prototypical user experience; putting the user in the driving seat. 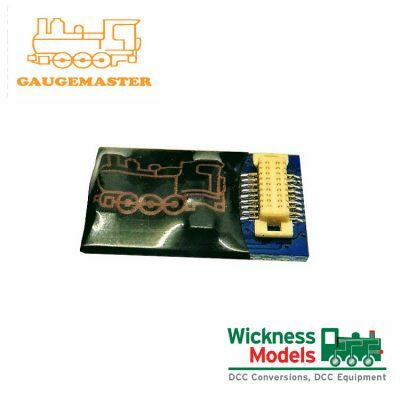 These projects have been developed to be used on any DCC system although we do not recommend Hornby Select or Bachmann EZ Command due to limited function options. So what is Soundscape then? Soundscape is set of ambient sounds on a given theme additional to the standard running sounds (engine, horns, compressor etc.). The soundscape runs on an available function within the project just like any other function such as a horn. 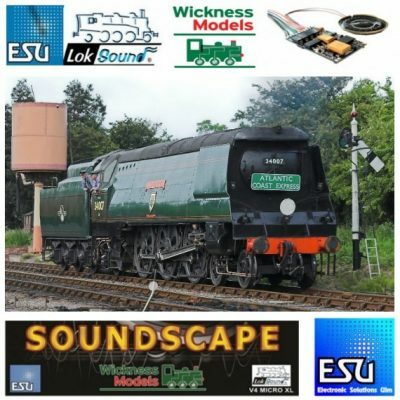 This is exclusive to Wickness Models and Mark’s Trains sound projects on LokSound 5 decoders. Soundscape can be activated during running or while motionless to provide additional background noises based on the theme of your layout. For example, you might choose Londonscape or Airportscape for a city centre layout, or Farmscape or Hedgerow for a rural one. RealDrive fully utilises the advanced functions and logical programming available to the LokSound 5 decoder family, giving the user a prototypical and immersive experience. It’s like driving a real train – to an extent! To learn more about MarWick Soundscape with RealDrive sound projects, and to see other projects available click the learn more link inside the useful information tab.